Naturally I turned it into a cocktail. 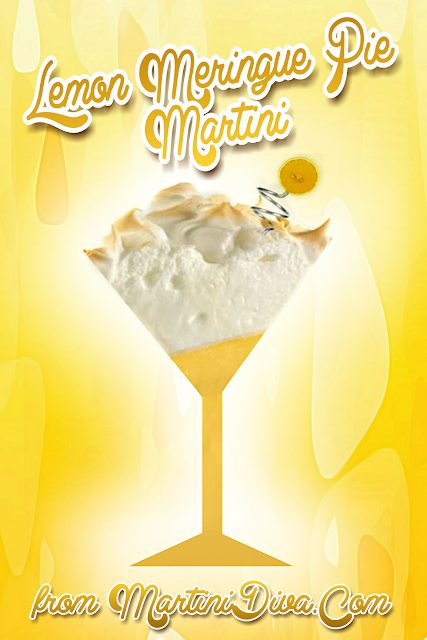 I simply took vanilla vodka, homemade Limoncello, lemon juice, simple syrup, added some pasteurized egg whiles and, boom, Lemon Meringue Pie in a glass! The egg whites give it that froth, as well as add body to the cocktail, and counter the tartness of the lemon. All in all a deliciously light martini. If you really want the whole pie experience, add baked, crushed pie crust mixed with a little sugar to the rim. DIRECTIONS And the ingredients to a blender and blend until chilled and frothy. Grate some lemon zest over the top of the cocktail and serve.